We are engaged in Manufacturing, Exporting and Supplying a huge collection of Tubular Heaters that too at the industry leading prices. 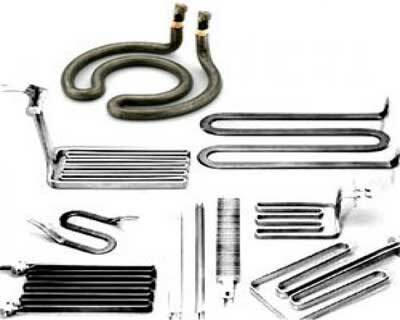 The Tubular Heaters we provide finds usage in numerous industrial applications due to which they are high on demand across the globe. It is ideal for transferring heat to air or other gases. Finned Tabular Heaters are manufactured in a very wide variety range of dimension and power ratings. They can be shaped into any pattern, depending upon the application. Complete air heating batteries that incorporate Finned Tabular Heaters are designed and build to meet the requirements. Efficient compact heating units designed to provide bulk heat flow system processing fluid or for liquid accumulators. Normal and certified hazardous area constructions are widely used to heat water, oil, gases or heat transfers. We can supply standard as well as custom built purposes. Available in both round and square flange with built in probe and thermostat on request. Made by nickel chrome sheeted heating elements, mounting one side of the vessel, easy to remove and clean. It is used in Alkaline cleaning solution, detergent and other alkaline solution, normally corrosive to mild steel up to 90oC.